Secondary-packaging equipment manufacturer Standard-Knapp is an employee-owned company that continues to lead in innovation and service after almost a century and a quarter. What it had was an outstanding industrial reputation and a long list of blue-chip brand clients in industries like beverage, food, spirits and household products. What it lacked was the look, style and powerful messaging architecture to match. That’s what our Brand Leadership Solution® was tasked to provide. With their presence at Pack Expo 2018, a major event on their marketing calendar and less than four months away, the agility of the Brand Leadership Solution® comfortably accommodated the brand’s revitalization and the trade show activities schedule. Key to the top-to-bottom repositioning was showcasing the passion and commitment that delivered the organization’s uncommon value and outstanding machinery solutions. 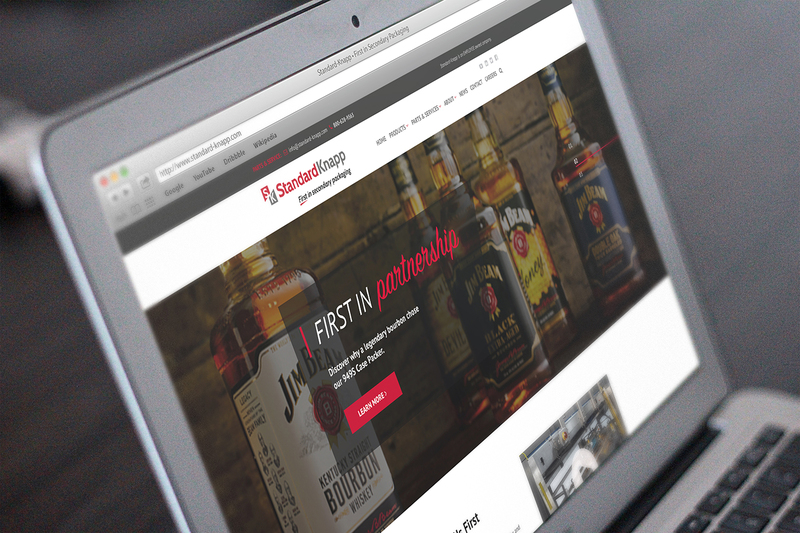 From a fresh new mark and brand signature to its confident brand line, Standard-Knapp’s look and style were streamlined and simplified to enable clear and concise brand storytelling. A highly engaging, responsive website design was developed along with a one-page leadership profile available for distribution and downloading. The content was aligned with client interests while the UX was made more personal, intuitive and engaging. Working closely with Standard-Knapp and their trade show booth fabricator, we applied the brand’s new visual identity and messaging on spec and on schedule, enabling them to debut a future-forward positioning and look at Pack Expo 2018.